"Our vision is to impact children and youth to view the world from the widest perspective"
LCYTF was founded in 1981 by the veteran children’s theatre writer and director Mrs. Somalatha Subasinghe as a voluntary organization and in 2007, it was incorporated in the Parliament of Sri Lanka under the Act No 3 of 2007. We have continuously produced children’s and youth as well as main stream theatre productions in Sri Lanka over the last 35 years. LCYTF is the national representative of ASSITEJ International, a global network for theatre for children and youth that spans across continents. Through ASSITEJ International and our other contacts we have promoted a number of artists engaged in children’s and youth theatre to take part in international seminars, workshops, festivals, etc. 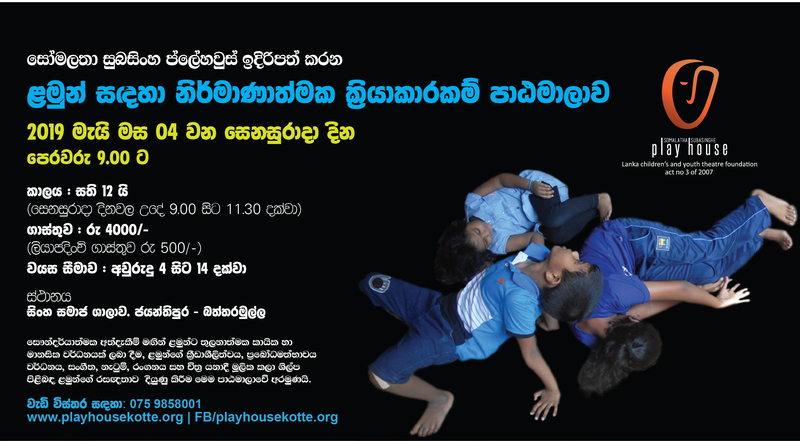 We conduct a series of training programmes in order to further the children’s and youth theatre in Sri Lanka. We organize the Colombo Theatre Festival for Young Audiences annually to showcase good theatre for children and youth produced by LCYTF and other artists in the field. LCYTF has pioneered to take Sri Lankan children’s and youth theatre concept to the international audience by taking part in number of international theatre festivals and joint productions with other countries. LYCTF was conferred the “Bunka Award” presented by the Embassy of Japan for the Best Achievement in Performing Arts in 1997. In 2005, Ms. Kaushalya Fernando, a Director of LCYTF was conferred the “Bunka Award” for her outstanding contribution to theatre and acting. 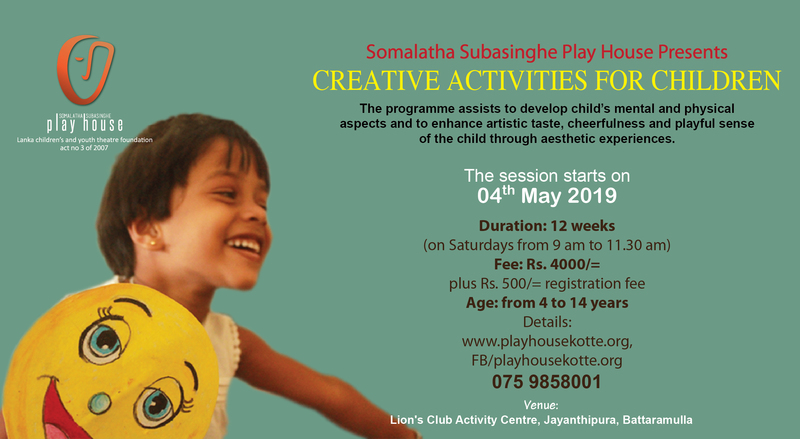 Lanka Children’s and Youth Theatre Foundation (LCYTF) aka Somalatha Subasinghe Play House, founded by the late Mrs. Somalatha Subasinghe in 1981, is the only professional theatre company which produces mainly musical theatre for children and youth in Sri Lanka. Copyright ® 2019 Somalatha Subasingha Playhosue Media. All rights reserved.